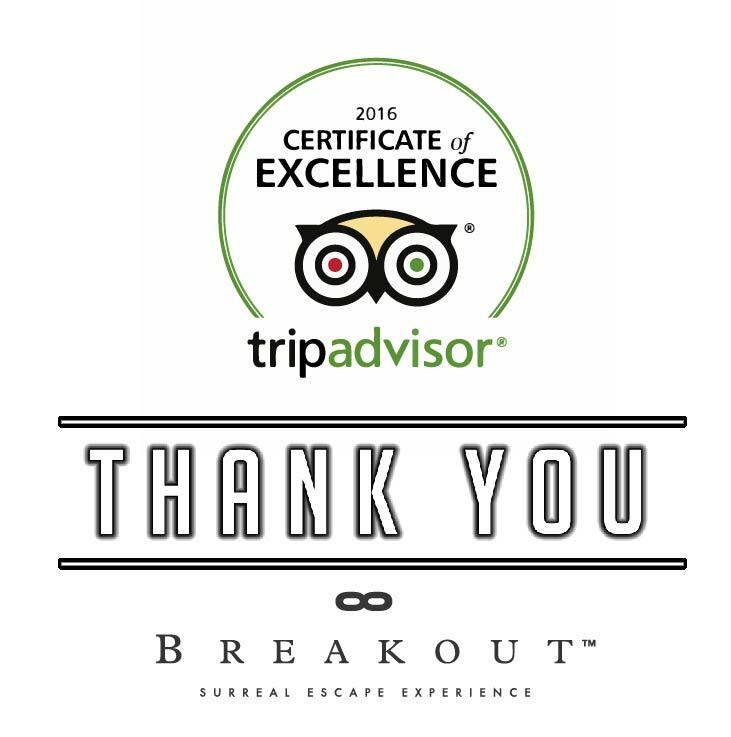 Kuala Lumpur, Malaysia – Breakout Malaysia, the Real Escape Game operator today announced that it has received a TripAdvisor® Certificate of Excellence. Now in its sixth year, the achievement celebrates hospitality businesses that have earned great traveller reviews on TripAdvisor over the past year. Certificate of Excellence recipients include accommodations, eateries and attractions located all over the world that have continually delivered a quality customer experience. Breakout is also ranked No.1 in Kuala Lumpur under the category of Fun Activities and Games. Breakout, the first character based escape game in the world is also located globally in South Korea, Canada and the United States of America.